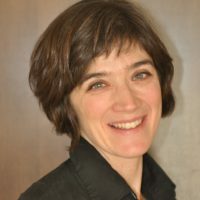 Corinne is an Associate Professor in UBC’s Department of Emergency Medicine, Scientist at the Centre for Clinical Epidemiology and Evaluation, and an Associate Member of the School of Population and Public Health. She practices Emergency Medicine at Vancouver General Hospital. Her main interests are in patient safety, health systems innovations and drug safety and effectiveness. She has developed and evaluated clinical and health systems interventions to improve care for patients with adverse drug events. She is presently working on a provincial initiative to improve adverse drug event reporting, and integrate these data into electronic medical records and provincial information systems to improve patient safety, improve population-level data on adverse drug events, and a provincial surveillance platform. She was the recipient of a Best Paper Award from the American College of Emergency Physicians in 2011, a CIHR New Investigator Award in 2012, and a CIHR Foundation Grant in 2016.